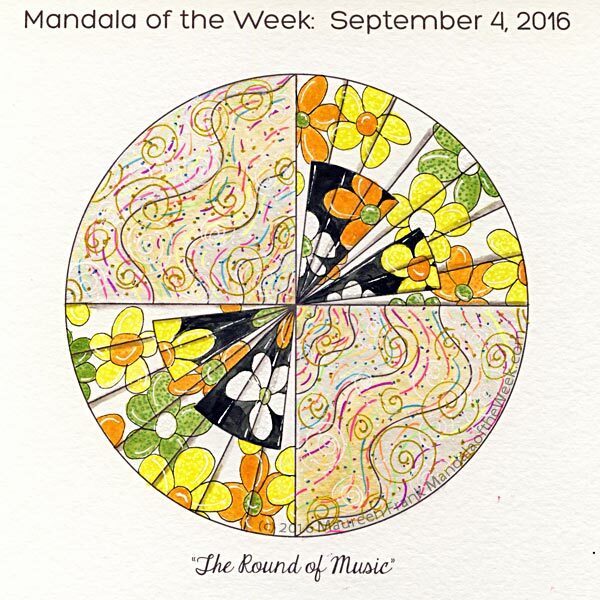 I present my coloring/painting of this week’s Mandala of the Week: The Round of Music (from Sunday’s MotD post). Since I first drew out this week’s mandala on Sunday, I kept seeing a “flower power” theme being painted over the piano keys. I find that when I honor my visions, it tends to come out better than the original idea; and it proved itself true yet again. I love its celebratory joyousness. Enjoy!